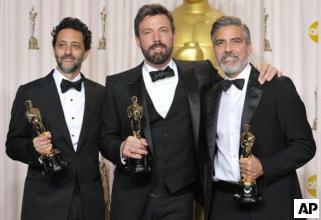 THE 85th ACADEMY AWARDS were held Monday morning (Philippine time). On cable TV, it was shown on Velvet Channel. The best part of the live telecast was when no political ads were aired. The Best Picture trophy went to ‘Argo.’ It’s about a successful rescue of hostages in Iran. The rescue was successful so definitely it didn’t happen in Manila. The Ben Affleck-helmed political thriller ‘Argo’ won Best Picture beating out Steven Spielberg’s epic film ‘Lincoln.’ And the Republicans’ losing streak continues. 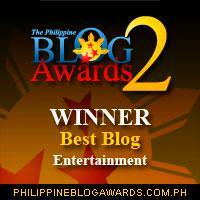 Daniel Day Lewis won an award for his role as president – the same role Jejomar Binay can hardly wait to play. The oldest best actress nominee ever, Emmanuelle Riva turned 86 on Oscar night… making her a potential candidate for Senate President. Quevenzhané Wallis was the youngest best actress nominee ever at 9. 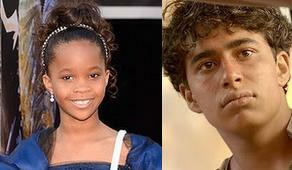 Like “Life of Pi’s” Suraj Sharma, she was inexperienced when discovered. They’re both good and have a lot of promise. It’s unlikely for them to get that coveted win soon though. They’re like the Bam Aquino of the Oscars. As expected, Austria’s ‘Amour’ won the award for Best Foreign Language Film. It triumphed over entries from Denmark, Chile, Norway, and Canada. Denmark’s entry was ‘A Royal Affair,’ a film about a high-ranking leader’s wife who fell in love with a doctor. Koko Pimentel hated the movie. 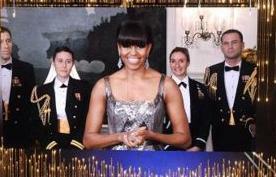 US First Lady Michelle Obama presented the nominees and announced the Oscar winner for Best Picture. Everyone was surprised to see her. She was the night’s mane attraction. This year’s program was realllllly long! It’s even longer than the Estrada presidency! The Oscar Awards are over. We can now move on and focus our attention on real actors – the politicians. In his last public prayer, an emotional Pope Benedict XVI told Catholics that God wanted him to retire… confirming earlier rumors that he was actually fired! ~Ang Lee, accepting the best director Oscar for Life of Pi. Catholic cardinals are going down on their sword faster than going down on a 9 year old altar boy. Jennifer lawrence falls down at oscars. a tribute to team p-noy? Clearly LP members can now, not even stand up straight, let alone walk a straight path. Hiccup, pass the bottle. Mine’s a double. Ang totoo: LALO NA KUNG ALONG THE WAY KAYO PAPUNTA SA PRIVATE BEACH RESORT KO!